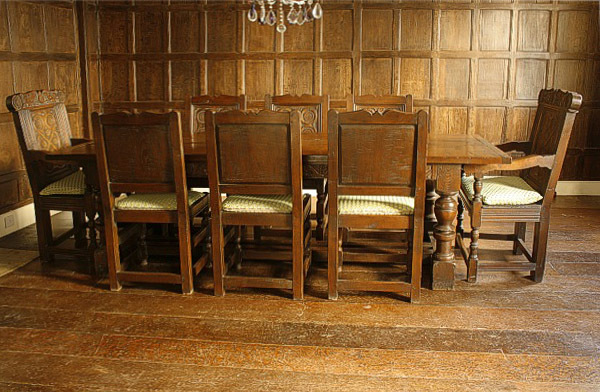 Carved oak dining table and chairs, shown here in a panelled room believed to date from the Tudor period. 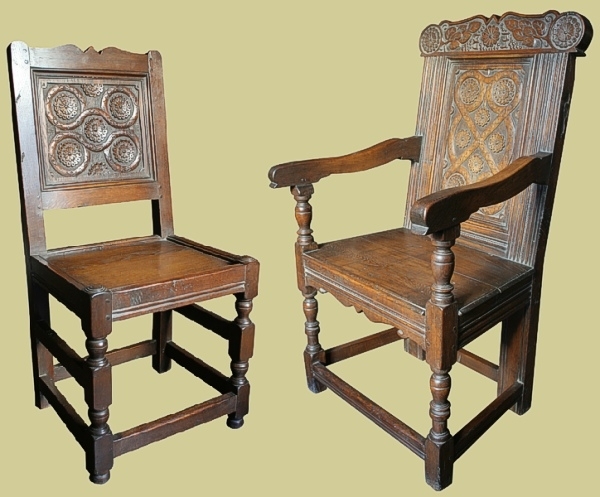 These bespoke pieces were based on an original 17th century armchair and personalised for our Sussex client. Our managing director (some years ago, when he was more 'hands on'), assisted in the restoration and conservation of this panelling. As well as the actual products (in the links below), you can view another photo of the room here: Hand carved refectory table & chairs in oak panelled room.